Northside Hospital Cancer Institute (NHCI) and the Nancy N. and J.C. Lewis Cancer & Research Pavilion at St. Joseph's/Candler (LCRP), two of the largest community cancer clinical trials programs in Georgia, have partnered with the Georgia Center for Oncology Research and Education (Georgia CORE), to create an integrated and coordinated statewide community research consortium to address limitations and achieve the goals of the NCORP. 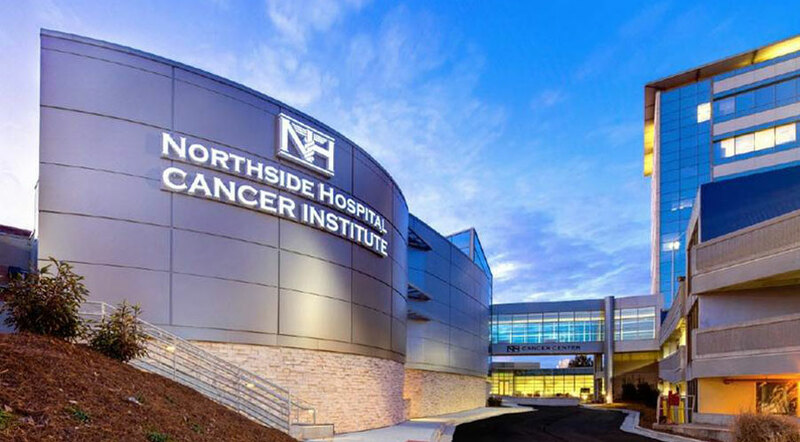 Northside Hospital Cancer Institute is dedicated to expanding clinical research, improving quality of care, and enhancing our patients' care experience. In addition to leading-edge treatment and clinical trials, our renowned program consists of screening and diagnostic services, cancer genetics, and opportunities for support and survivorship. For the sixth consecutive year (2009-14), our Blood & Marrow Transplant Program achieved among the best survival outcomes in the nation for bone marrow transplants. More cases of breast cancer are diagnosed and treated at Northside than at any other hospital in the Southeast. More cases of gynecologic (cervical, ovarian and uterine) cancer are diagnosed and treated at Northside than at any other hospital in Georgia. More prostate cancer treatments are performed at Northside than at any other hospital in Georgia. We have a network of more than 32 cancer centers across Georgia. We are a STAR Program certified institution, offering evidence-based and best practices cancer rehabilitation care. More than 30 oncology nurse navigators and cancer care liaisons offering support throughout your journey. We now offer Gamma Knife technology, the latest treatment for malignant and benign brain tumors and functional and vascular disorders. We are fully accredited by the American College of Surgeons Commission on Cancer (CoC), and one of only 10 hospitals in the country to receive the CoC's Outstanding Achievement Award for four consecutive surveys.